With a beautiful sunny morning it was no surprise that there was an 800% increase in members turning out over last week’s dismal performance. Eight of us, Lorna, Mike, Marion, Brian and Janet, Gerhard, Terry, and Roger, left Petra’s for the foot of 12th Ave to survey the lagoon. 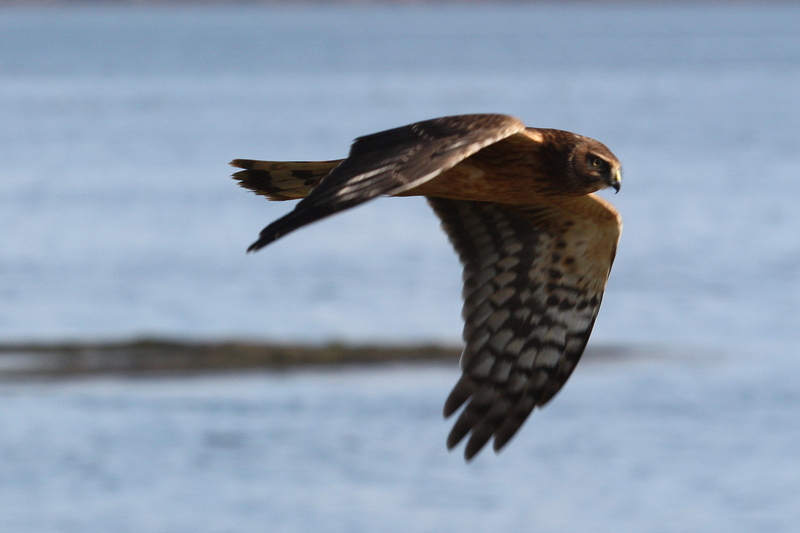 Right away, in the parking lot, Janet alerted us to a female Cooper’s Hawk flying by… a good start for what turned out to be an exceptional day! On the way to the lookout we heard a Belted Kingfisher and saw the usual House Sparrows, Golden-crowned and Song Sparrows, Dark-eyed Juncos, several Northern Flickers, European Starlings, and a large flock of Pine Siskins and a Red-tailed Hawk sitting in a distant tree. 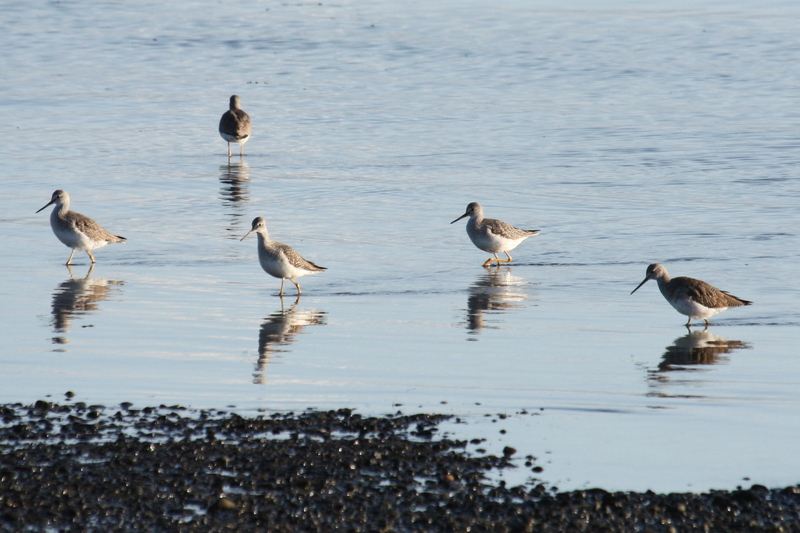 Out on the shoreline we saw a flock of Dunlin, and large numbers of Greater Yellowlegs (couldn’t distinguish any Lessers). 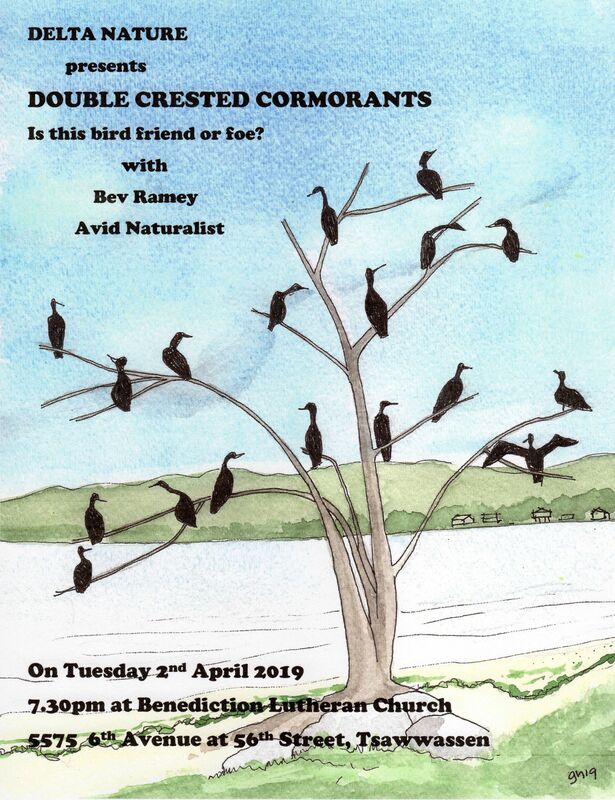 While we were there, Richard Swanston appeared and was able to spot an Eastern form of Black Brant and explained how to distinguish it from the hundreds of the more common ones we see. Off shore, with the Brant, were enormous numbers of American Wigeon with several Eurasians mixed in with them and an equivalent number of Northern Pintails. Gulls seen included Ring-billed and Glaucous-winged. We then proceeded to the Beach Grove tennis courts and set of to search for the resident Great-horned Owls of which we found one roosting in a hemlock tree at the eastern border of the woodlot. Janet, as usual with her remarkable sound discrimination ability, heard several birds and identified a Bewick’s Wren, which we managed to see, and an Anna’s Hummingbird, which we didn’t see, and Downy Woodpeckers, which we saw coming and going from a nest hole at the top of a Cottonwood tree. We were also able to add several Black-capped Chickadees to our growing list. We then proceeded to the foot of 72nd St pausing on the way to pick up binoculars that someone had forgotten to bring (unusual for a non-Tom person to have done). 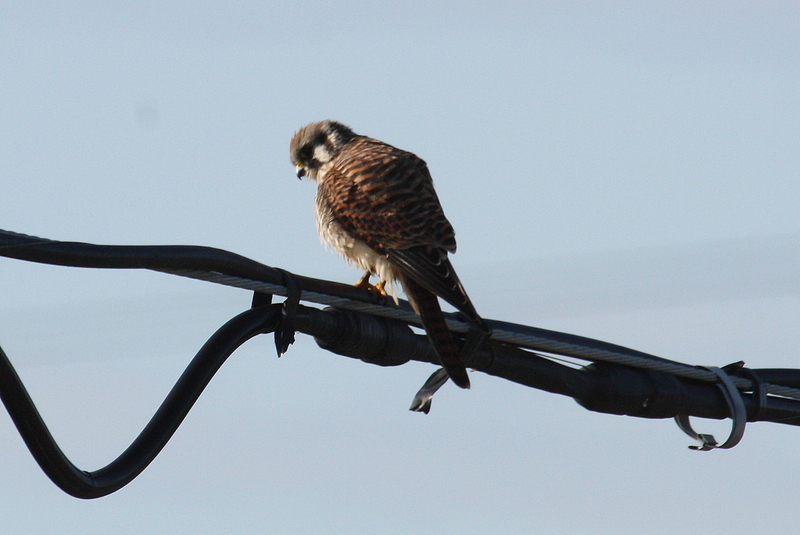 On the way we had a good view of an American Kestrel sitting on overhead wires. 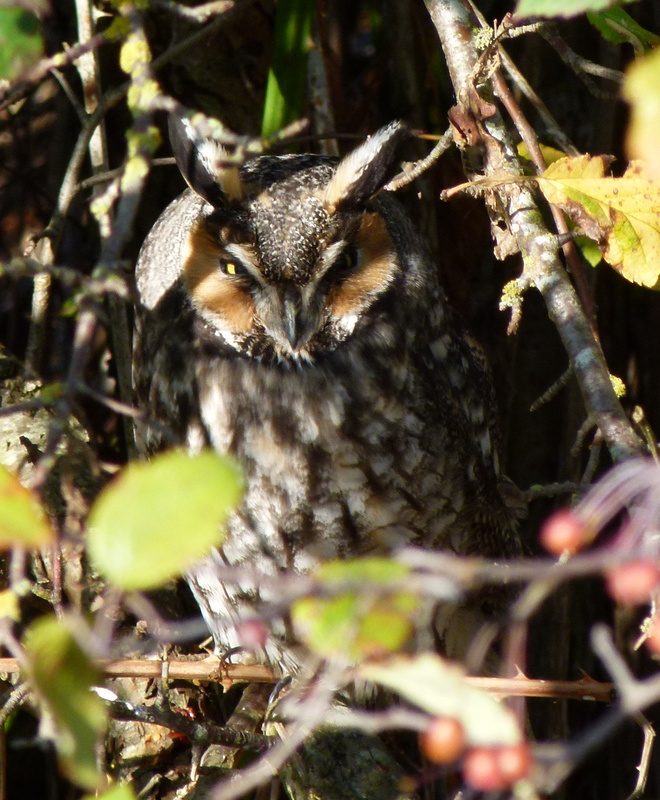 Walking west along the dyke we encountered a pack of birders observing a Long-eared Owl. 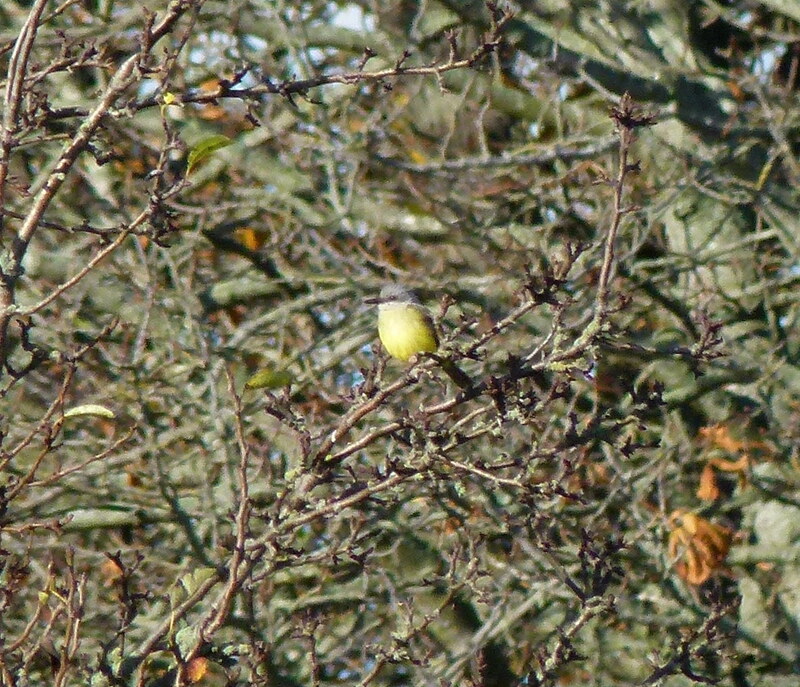 We all felt that there was no way we would have spotted the owl on our own as it was almost invisible in a dense Hawthorn bush. We had a quality look at what was for most of us a “lifer”! 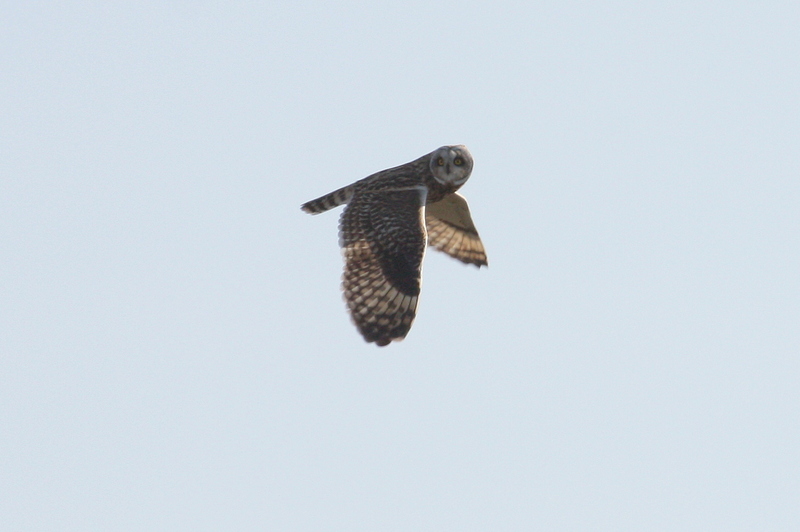 At the same time we had good looks at several Short-eared owls, Northern Harriers and three Rough-legged Hawks. At the “ground wire site”… Gerhard tried to explain its function to us, we had a good look at a “yellow -shafted” variety of Northern Flicker. Before moving on we paused for our group photo. 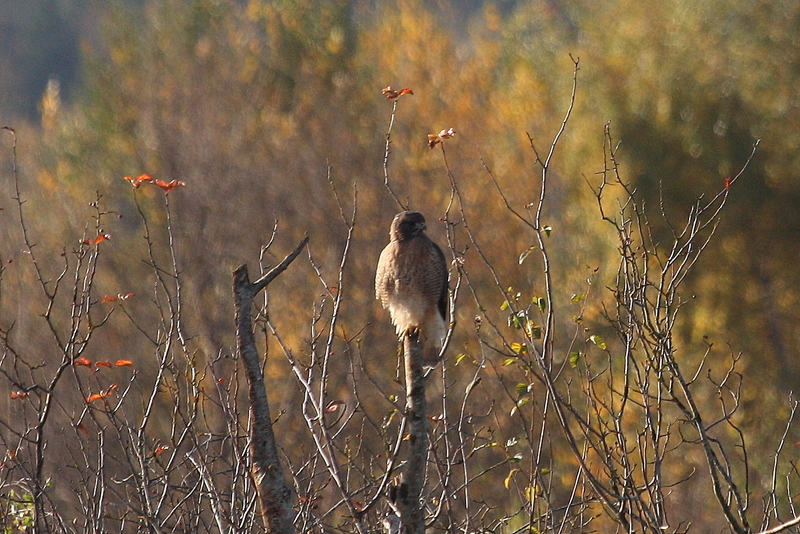 Hi Tom… Having a great day of birding! and two African dogs (the ones that can’t bark and there’s no way I’m going to attempt to spell their name) that Gerhard managed to convince the breeder to bring out into the yard for us to see. 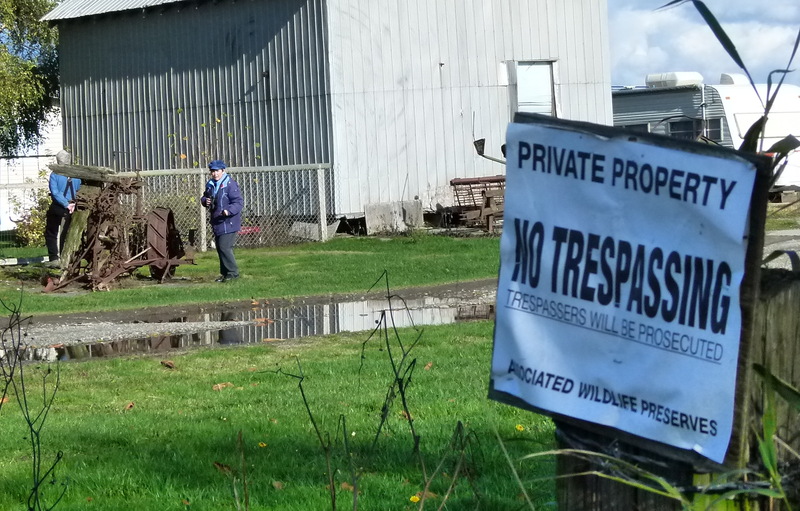 It was at this point that some trespassers were sighted and, again, no names will be mentioned… see photo of the lawbreakers). Also, the plaintiff sound of “Bird Alert” was heard as Lorna spotted an owl in a tree which we were unable to locate. Mike suggested that Lorna had been imbibing in the car but we were not able to verify that either. Up on the dyke we saw a cloud of thousands of Dunlin in the distance and just as we were about to abort the search for the Tropical Kingbird, up it popped providing us with beautiful looks with the sun in the best position. We were able to see it catch and eat a fairly large insect. 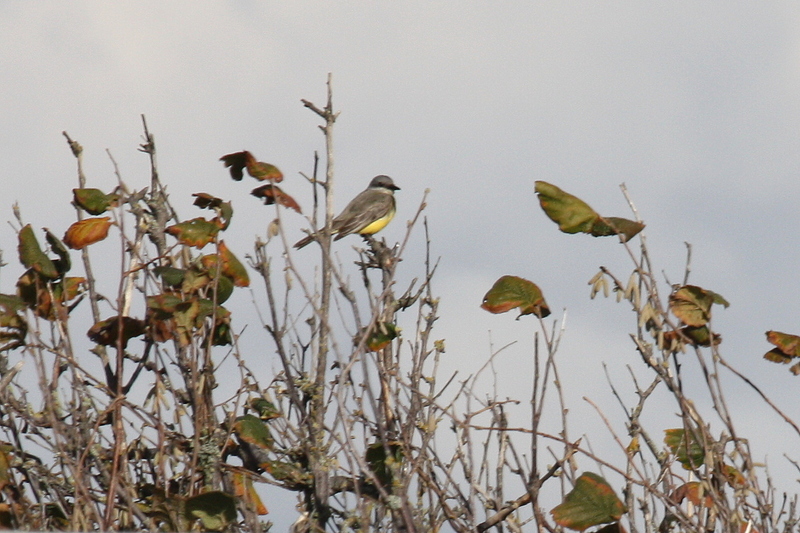 So ended a perfect day of birding, especially with raptors and the Kingbird being the icing on the cake. Or, as Tom says, “Owls well that ends well”! REMINDER: Monday, November 12, 7:30 pm Monthly Meeting at Cammidge House. 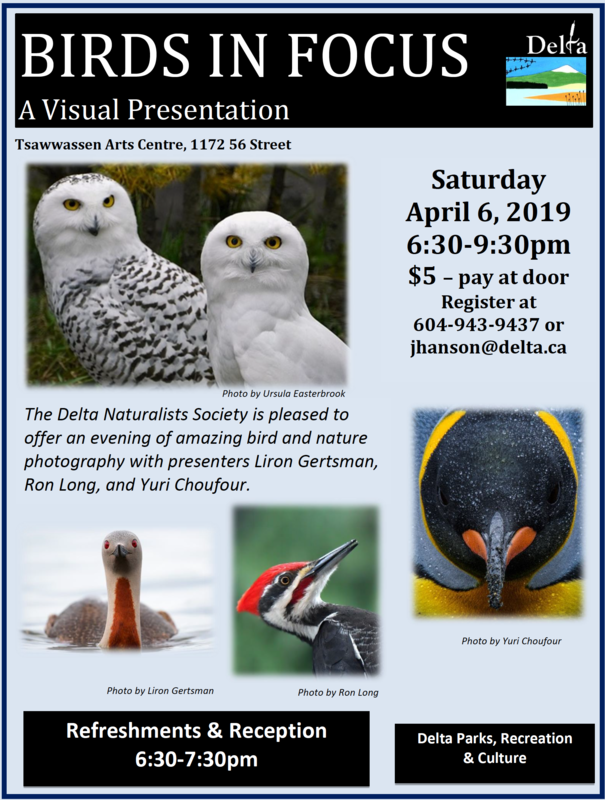 This entry was posted in *DNCB, 104 Street, 12 Avenue, 72 Street, American Kestrel, Beach Grove, Boundary Bay, Cooper's Hawk, Long-eared Owl, Northern Harrier, Peregrine Falcon, Red-tailed Hawk, Rough-legged Hawk, Short-eared Owl, Tropical Kingbird. Bookmark the permalink. That is a beautiful picture of a Kestrel. 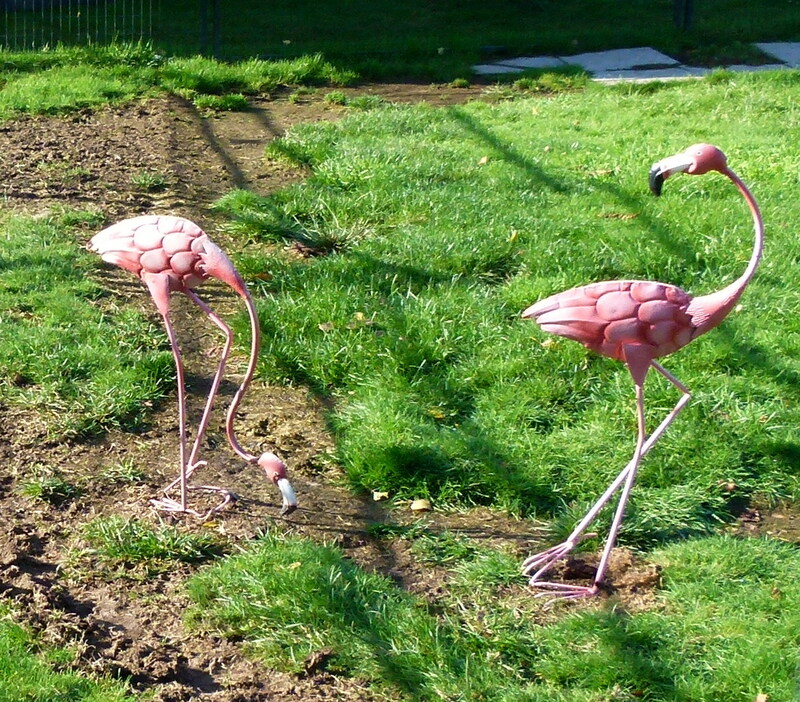 They are one of my favorite birds, thinks for sharing. 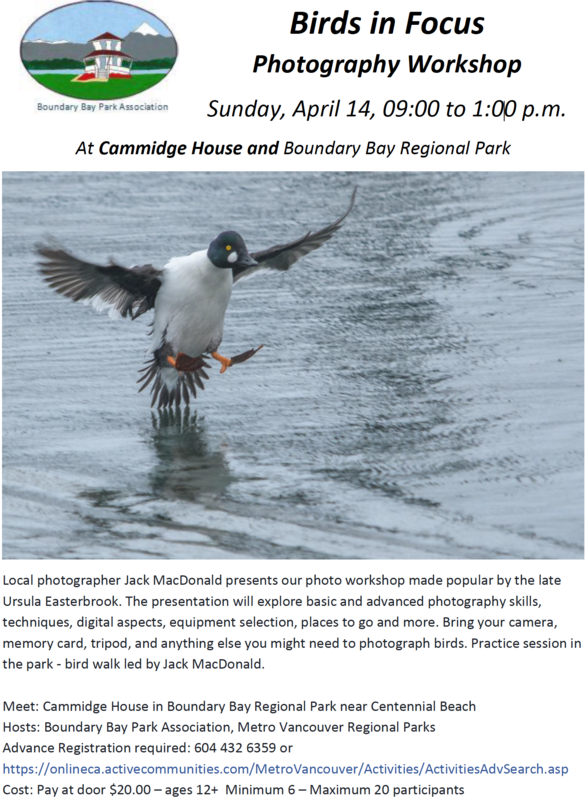 This was truly a remarkable day, It is unfortunate that most of our regular attendee’s missed what turned out to be one of the best birding days of 2012. 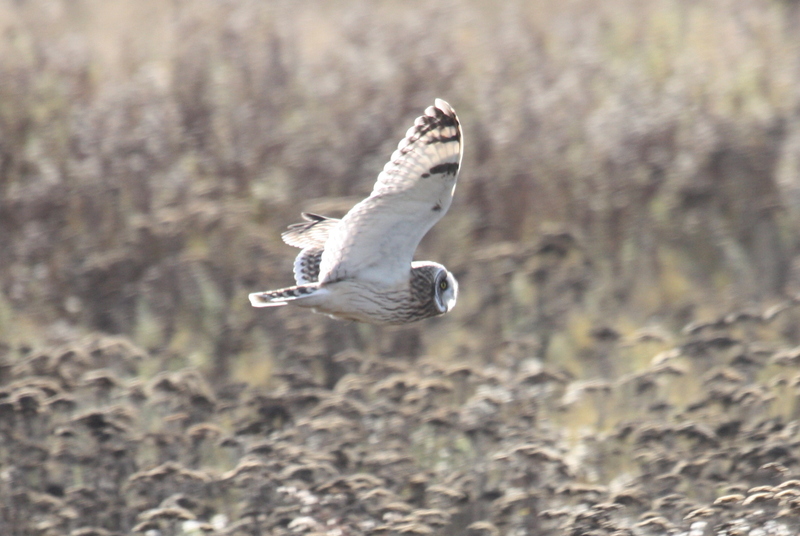 The day was packed with sightings and lots of action on the dyke. 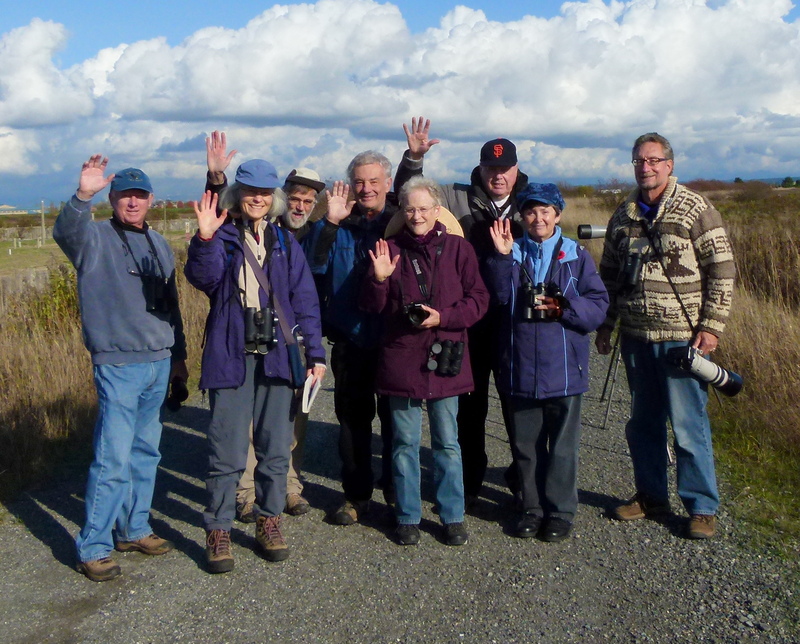 Super report, Roger, of an awesome day of DNCB birding.